This article first appeared on the Council on Foreign Relations site. The Security Council resolution on Israel rewards the PLO for refusing to negotiate and adopts its tactic of replacing serious, face-to-face negotiations with useless dramas in New York. It is a danger to Israel. And by refusing to veto, the Obama administration abandoned the usual American practice of defending Israel from what Jeane Kirkpatrick called “the jackals” at the United Nations. Last weekend, administration spokesmen have tried to defend this abandonment of Israel in truly Orwellian terms, inverting the meaning of their action. This was done to help Israel, you see, and to defend it; we know better where its interests lie than does its elected government (and main opposition parties); we abandoned Israel because we are its friend. a resolution that expresses the consensus international view on Israeli settlement activity….this is consistent with longstanding bipartisan U.S. policy as it relates to settlements….one of our grave concerns is that the continued pace of settlement activity — which has accelerated in recent years, which has accelerated significantly since 2011…. let’s be clear here: We exhausted every effort to pursue a two-state solution through negotiations, through direct discussions, through proximity discussions, through confidence-building measures, through a lengthy and exhaustive effort undertaken by Secretary Kerry earlier in the President’s second term. We gave every effort that we could to supporting the parties coming to the table. So within the absence of any meaningful peace process, as well as in the face of accelerated settlement activity that put at risk the viability of a two-state solution, that we took the decision that we did today to abstain on this resolution…. Where is the evidence that not doing this is slowing the settlement construction? If you enjoyed the children’s exercise where the child is asked to find all the things wrong in a picture–signs upside down, dogs with horns, etc–you will enjoy pondering Mr. Rhodes’s misleading narrative. A careful look into the numbers shows that neither the population balance between Jews and Palestinians, nor the options for partition in the West Bank have materially changed….Israeli population in the settlements is growing, but at a rate that reflects mostly births in families already there, and not in-migration of new settlers. In fact settlement growth has not “accelerated significantly” since 2011, whatever Mr. Rhodes says. So what is to be done when the Palestinians refuse to negotiate? Punish Israel. Join the jackals in Turtle Bay. Adopt the PLO view that action in the United Nations will replace face-to-face talks. That was Mr. Obama’s decision. We have a body of evidence to assess how this Israeli government has responded to us not taking this kind of action, and that suggests that they will continue to accelerate the type of settlement construction that puts a two-state solution at risk. Settlements expand if we veto resolutions, he is saying, so we have decided not to veto resolutions. This is precisely wrong, a true inversion of the truth. The Obama account of settlement expansion is invented and avoids the facts to build a case against Israel. Netanyahu is not popular among settlers exactly because he has restrained settlement growth and as noted adopted a 10-month freeze. In 2009 Hillary Clinton said, “What the prime minister has offered in specifics on restraints on a policy of settlements…is unprecedented.” What has been the Obama reaction to his restraint, to his freeze, to the PLO refusal to negotiate? The reaction has been to blame Israel and assault Netanyahu year after year, including with childish epithets. And this attitude culminated finally in the abandonment of Israel at the United Nations. Supporters of strong Israel-American relations can only be glad that the 22nd Amendment limits presidents to two terms in the White House. Elliott Abrams is senior fellow for Middle Eastern studies at the Council on Foreign Relations. 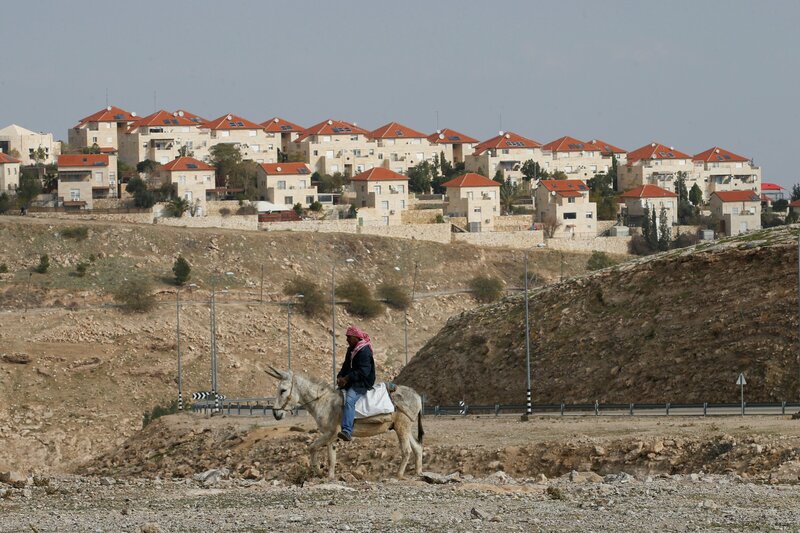 Why the Ignorant Assault Upon Israeli Settlements?